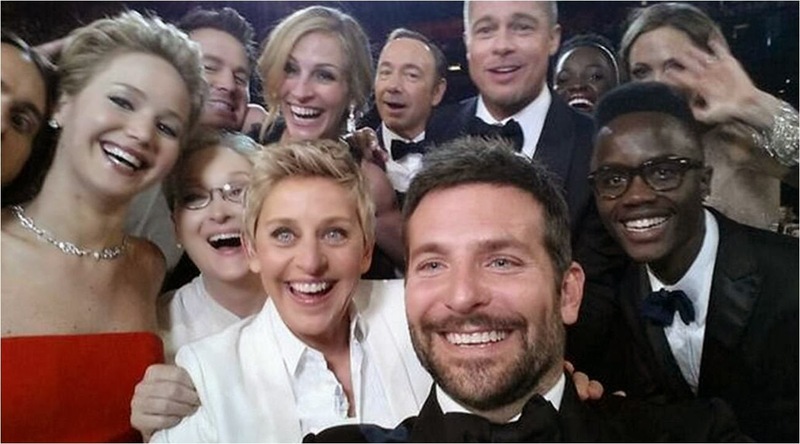 Ellen Degeneres breaks Obama's Twitter record with this picture. Ellen Degeneres quebra o recorde de Twitter do Obama com esta foto. Overall, Gravity won the most Oscars with a total of seven. Em geral, Gravidade vendeu a maioria dos Oscars com um total de sete. 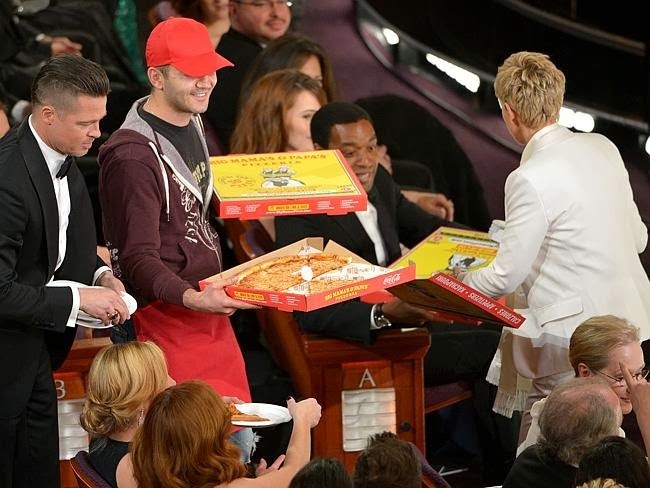 Ellen ordered pizza for everyone.